Kids worldwide are lapping up the Wimpy Kid series. 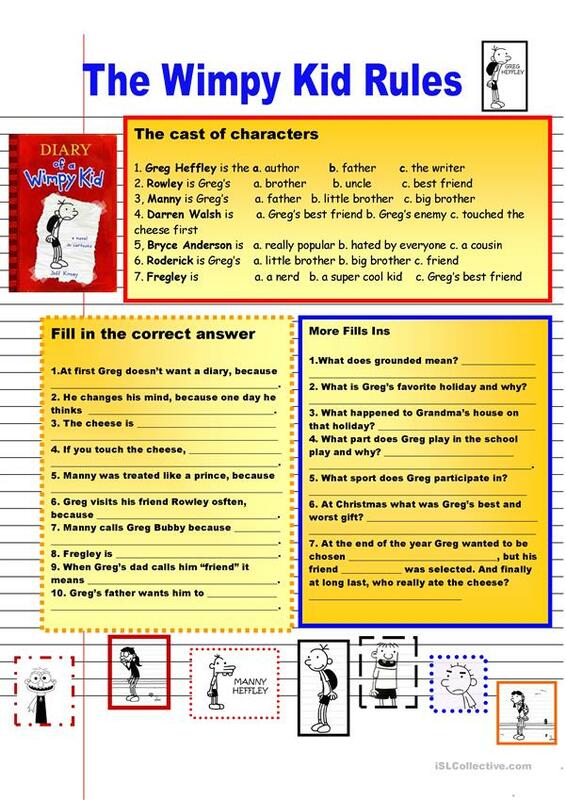 Here are some activities and questions based on the first book. Do you know much about the characters? Discuss and describe them. There are a series of 3 movies based on the first 3 books. The present downloadable teaching material is a great resource for high school students and elementary school students at Elementary (A1) and Pre-intermediate (A2) level. It can be used for developing your students' Reading skills. It is about the theme of Storytelling.